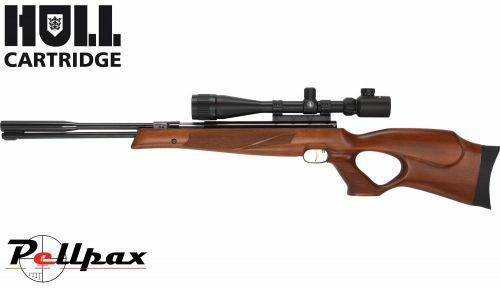 Specially designed for target shooting, the HW97K is ideal for shooters that value accuracy above all else. Made by one of the most well known and respected names in the industry, the HW97K is supremely reliable and doesn't compromise performance for build quality. The elegantly designed thumb hole stock has been designed to work the majority of external optics and is of medium weight to provide a well balanced shooting position. The stock is fitted with a thick rubber recoil pad to minimise shoulder fatigue.